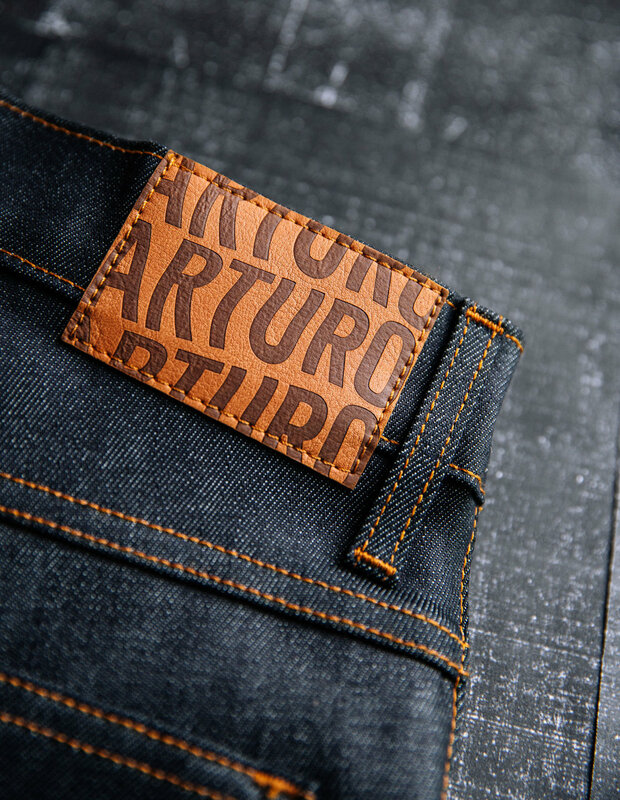 Arturo Denim is a locally designed, made in Canada denim company based in Edmonton, Alberta. Born from a DIY mindset and a desire to create something that was long lasting and ethical, Arturo’s brand had to be grounded in their punk rock roots. Drawing inspiration from their namesake, Arturo Vega (the artist behind the famed Ramones logo), we developed a visual identity based on old photocopied textures, zines and gig posters. The visual identity was implemented across the usual mediums such as web and signage, but also on the labelling and tags for the retail product. Photocopier textures were created from scraps of newsprint and old denim to supplement the brand on print and web. The texture gave the brand a gritty aesthetic without feeling unprofessional. 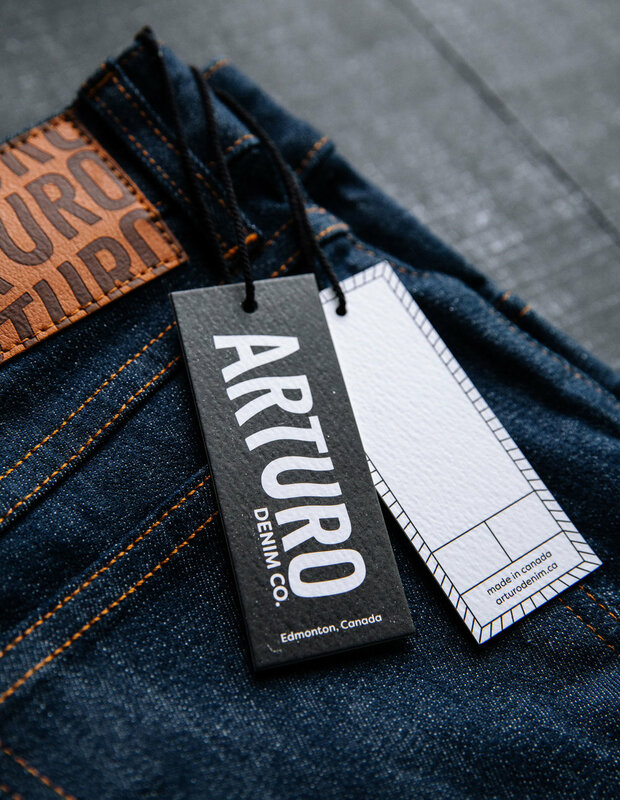 As part of their commitment to creating a long lasting product and reducing textile waste, Arturo also launched their Denim Restoration service shortly after opening. A simple type based logo was design to mimic the photocopied aesthetic of the parent brand.